We all know the issues associated with not sleeping the number of hours you need each night but sometimes we just do not know how to make this happen. We don’t have a sleep expert on the JCB Health Solutions team at present but we know an amazing young woman whose sole purpose in life (apart from her family) is to help YOU get the sleep you deserve to have. Contact us and let us know you have an issue with not sleeping well and we will be happy to refer you to a Specialist you will be overjoyed to know. 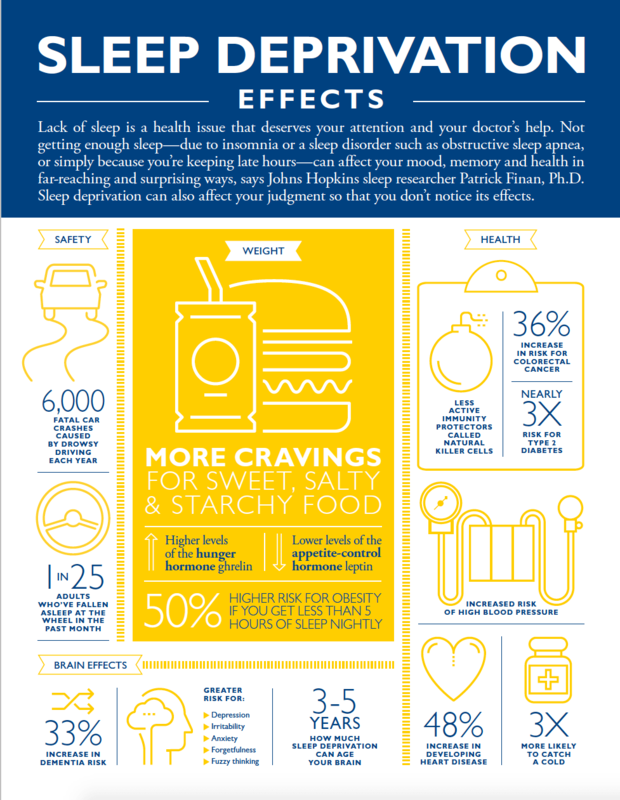 The following infographic from John Hopkins Medicine “The Effects of Sleep Deprivation” and more information can be found here.